Slows the formation of glycation end products due to the content of carnosine. DESCRIPTION: A.G.E. 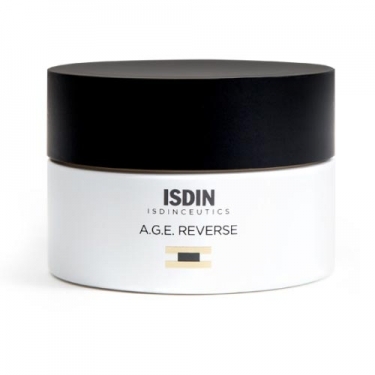 Reverse from Isdinceutics is a triple action anti-aging that protects the skin due to its anti-pollution, remodeling and anti-glycation effect. It forms a protective shield on the surface of the skin, thanks to the presence of Expo-P, while moisturizing and remodeling the contour of the face with the presence of cross-linked hyaluronic acid and Syn-Hycan. Carnosine also plays a major role in retarding the formation of glycation end products (A.G.E). It should be used by young women (from 30 years of age).